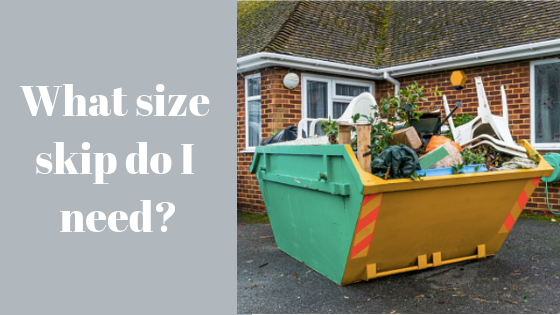 When you order a skip, how do you know what size to go for? With there being so many different sizes available to hire, you’re bound to find yourself spoilt for choice. Chorley Skips can help you to determine the most suitable sized skip for your disposal needs. Whether you’re looking for skip hire in Chorley or skip hire further afield, we can help you to dispose of waste. Domestic skips are the smallest skips we have and start from 2-cubic yards. On the other hand, commercial skips are great for larger projects and are provided in a range of sizes, all the way up to 40-cubic yards. 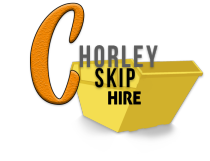 Skip hire in Chorley saves you a lot of hassle – preventing you from getting your hands dirty. From single room renovations to clearing out junk, it’s more than likely that you’ll generate too much waste to fit in your wheelie bin which is why we offer skip hire in Bolton. Skip hire is the best way to get rid of rubbish if your project generates too much to fit in the wheelie bin and saves you the trouble of taking it to the landfill site. Projects that generate a significant amount of waste require larger skips. Our spacious containers are suitable for storing all kinds of waste, including soil, rubble and other building materials. A domestic skip is often a popular choice of the building trade and we supply them in many different sizes. If you’re in need of skip hire in Leyland for your construction project, why not order a 6 yard skip? These are designed to hold 60 bin bags of rubbish and are best-suited to projects that generate greater volumes of waste. Larger projects, like loft conversions, property moves, and garden renovations, are sure to benefit from domestic skip hire in Preston. The 8 yard maxi skip reliably stores 80 bin bags of waste. One of its main advantages is that it incorporates a drop door which makes it easy for you to throw out materials – even large bulky items that are usually difficult to store. Home or office clearances are responsible for immense volumes of waste – making skip hire a great idea. Choosing to store old furniture and unwanted items in a skip allows you to complete your clearance project quickly. At Chorley Skips, we supply domestic skips right up to 16 yards – offering storage space for more than 120 bin bags. These skips are known as ‘open skips’ and are purposely designed to hold light materials only. To ensure that businesses discover a practical solution for waste disposal, we offer commercial skip hire in Wigan to companies based in and around the town. Businesses can benefit from regular bin collections but hiring a commercial skip can make the process easier still. Hiring a roll on – roll off skip will provide you with more than enough space to store commercial waste – reducing the number of collections. The 40 yard Ro-Ro skips are the biggest commercial skips we provide and are great for businesses that generate waste every day. The team here at Chorley Skips are always on hand to help and advise you – making sure that you order the right skip. Call us today on 01257 475 300.